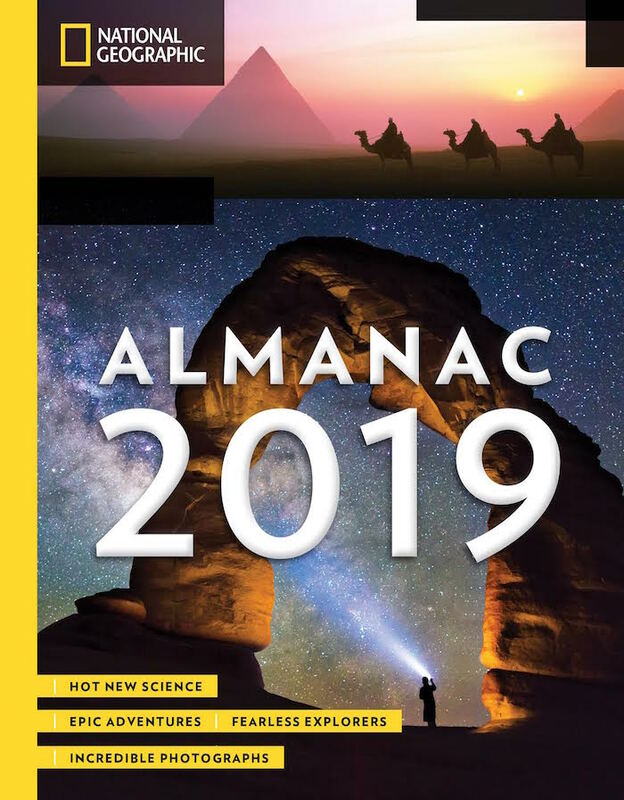 National Geographic’s Almanac 2019 is a fun, illustrative guide to the natural world and breakthrough sciences and, with 400 pages of stunning, evocative images, celebrates some of the most amazing places, events, and facts about Earth’s history. Opening to a random page you may be surprised with the lifecycle of tardigrades, the logistics of eating insects, or the history of Timbuktu; for someone who enjoys picking up facts about niche subjects, this book satisfies any wandering impulses or curiosities they may have. The almanac doesn’t go into exhaustive detail about any one topic but covers an incredible range of scientific concepts, processes, and findings. The text is paired with amazing photographs and fun infographics, providing visual learners or less scientifically savvy readers with easy ways of understanding intricate ideas and data. It is effortless and enjoyable to learn from this book, especially since you can thumb through to any page, find an interesting topic or image, and dive right in. Anybody interested in facts and photographs of the natural world and sciences will love this book, simply because it covers a little bit of everything. A larger coffee table book, Space Atlas, Second Edition: Mapping the Universe and Beyond refines the scope of topics to space and astronomy. Full of charts, maps, and stunning photographs, the Space Atlas is a deeply informative and beautiful book. It is well-bound and lays flat so no small details are lost in the binding, which is important when looking at a two-page spread of a planet or trying to read the names of peaks, valleys, and craters on a moon. Anything notable in space gets a proper treatment in this book and the depth of information is incredible, all while remaining accessible and easy to understand. For anyone interested in space this is an excellent book that gives a complete coverage of the universe. The Almanac 2019 and Space Atlas are both visually striking books, rich with fun facts and easily comprehensible data. Being able to quickly learn about cave systems, vikings, or the first missions into space is rewarding and addicting, but taking the time to closely read a single, well-researched topic shows the deep knowledge and care it took to make these books.